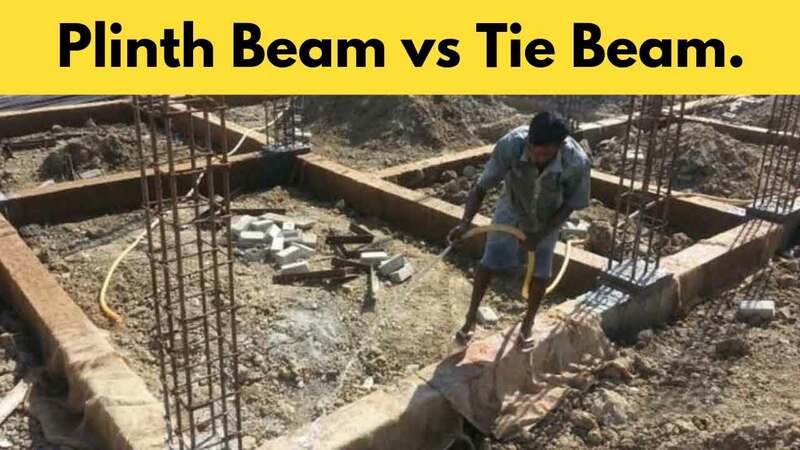 In this article, You are going to learn in details, about the Tie Beam and Plinth Beam; Its Differences, Types, Purpose in building construction. A beam is a horizontal member provided to transfer the load from the upper structure to column and walls or foundation. It can transfer both dead load and live load. Before moving to the difference between plinth beam and tie beam, first, you should know some of the basic definitions used in it. The finished ground level on which the building or structure rest is known as plinth level. It is constructed slightly higher than the Ground Level. Ground Level is the natural surface of the earth on which the construction takes place. The main reason the Plinth Level is kept higher than the Ground Level is to prevent the water to enter the building. And by doing this, the drainage system can be installed easily. Because there will be a difference in the Level of Ground and Plinth. 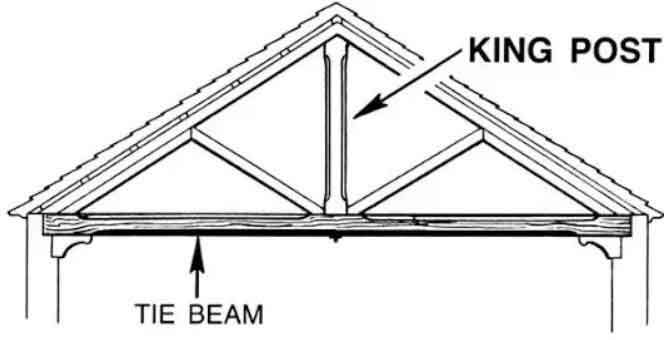 What is a Tie Beam? The beam which is constructed at the plinth level is known as Plinth Beam. In frame structure building, the Plinth Beam ties all the column of the structure to reduce the slenderness ratio of the columns. Reinforcement is used according to the structure design. But minimum 2 main bars at top and bottom of 10 mm diameters are used for its construction. However, It is not mandatory for the plinth beams to be reinforced. It can also be non-reinforced. Its height can be varied. Its height should be chosen according to the structural requirements. However, Its breadth should be equal to the breadth of the wall. Sometimes it can also be slightly thicker than the wall thickness. 1. 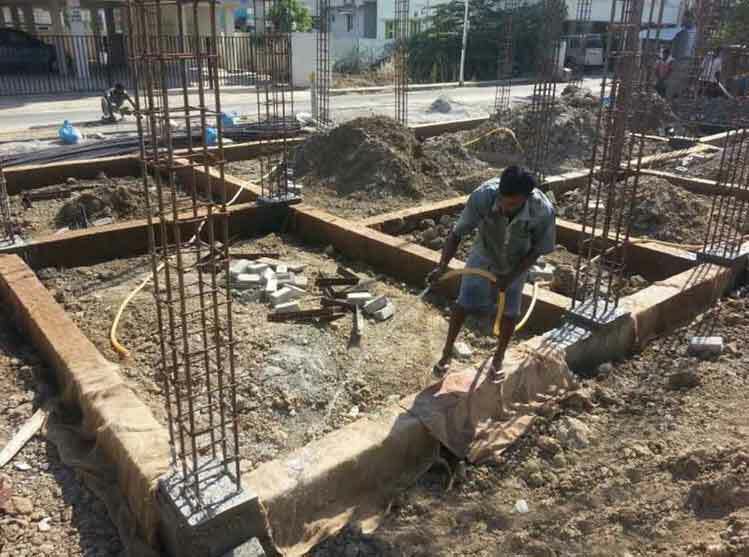 Plinth beam prevents differential settlement in structures because all the load coming on the plinth beam is uniformly transferred to the foundation. 2. It prevents the dampness from foundation to enter the building. 3. It ties all the column. 4. It prevents cracks from foundation to reach the wall. 5. It prevents the building to collapse during an earthquake. 6. Plinth Beams distribute the load uniformly. When the roof height is high, than the normal height of the structure, than these types of beams are provided. They act as a length breaker in the columns. Tie Beam joins two or more columns to decrease their effective length and reduce their slenderness ratio. Mostly, Tie Beams are provided above the plinth level and in roof trusses. They do not transfer any type of load they just reduce the effective length of columns. A tie beam is recommended when the height of the column increases from the range of 4 to 5 meters. However, this is not the exact number to be kept in mind. The designer can change it according to their needs. 1. Tie Beam is used for carrying the axial compression. 2. To reduce the effective length of the Column. 3. They prevent the column from buckling. 4. Tie Beams reduce the slenderness ratio. There are not that many differences in the Plinth Beam and Tie Beam. The main thing that makes these two different is that the plinth beam is constructed at the plinth level and the tie beam is constructed at the elevation or above the plinth level. The construction procedure for these both is same. Both are designed according to the project requirements. Thanks for Reading this article. Please don’t forget to share it. What are the benefits of reducing slenderness ratio?